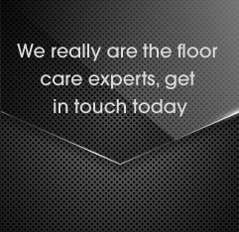 Looking after your oiled floors is as easy as it gets. Magic Oil is used for both domestic and commercial environment. It can withstand a lot of heavy traffic and use, but as everything, it also requires some maintenance. Why oil in the first place? How to look after your oiled floor? There is no bulletproof finish. Any spills or stains should be cleaned up as soon as possible. Even bulletproof vests are not 100% bullet proof. You should clean your floors with neutral floor cleaner regularly. Just follow the manufacture recommendation from data sheets. Periodically, you can use magic oil care, which will give a thin film finish, which will protect your floor an extra bit. Please note again, that spills should be cleaned ASAP anyway. How often should I use magic oil care? It depends on traffic and daily/weekly usage and maintenance. Areas like kitchen probably will need more attention then bedroom. First, remove the dry soil. Either by vacuuming or sweeping. We recommend that you use flat, microfibre, good quality mop. Spray some diluted product on the floor and then mop it, leaving the floor to dry. Drying times should not take longer then 10 minutes. Is lacquer better then oil? In the long run – no. It may give you slightly better protection, but when worn, it requires full restoration and it doesn’t look pretty when it wears, while oiled floors when scratched, add character. This is at least my personal opinion. I believe there is no universal beauty, maybe except rainbow . If you want your floor shiny then you choose the type of finish on lacquered floors from matt to gloss. Oil will give you velvety sheen. The wood is not a shiny material in nature. Oil is not a solution for every type of wood. Bamboo or Ipe Lapacho timbers simply cannot take oil. Magic oil care is the healthiest, most natural product on the market. The only healthier finish is no finish. As much as I love bare, freshly sanded wood, it will not last 5 minutes. As a proof that it is about maintenance I will give you example of my kitchen work top. You have to trust me on this one or you can visit and see it for yourself. I simply look after it! I hope this gives you all information you need to look after your floor. If you have any other concerns please do not hesitate to ask the question. 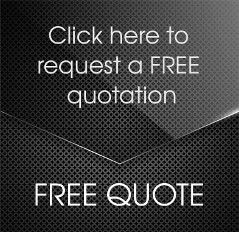 Just send us an email info@silverliningfloorcare.co.uk. We may not know the answer, but we are very keen on educating our selves all the time. You also might find this articles valuable. 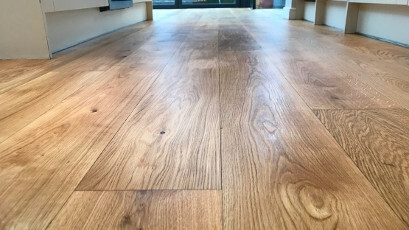 If you are still concerned – we are Parkettprofi approved contractors and will provide you with 2 year manufacture warrenty on the finish of your floor.